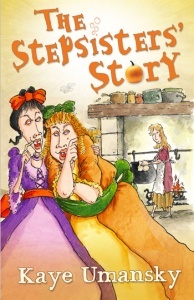 Read about Ella and her stepsisters... Lardine and Angula. Lardine and Angula have a new stepsister, Ella, and they are determined to make her life as miserable as possible. Throwing tantrums and sulks, they ensure that she is forced to sleep by the fire, do the chores and certainly not go to the ball. But will their schemes stop the prince from meeting the girl of his dreams?